You have an IIS site with host header www.originalfunsite.com in Default Web Site. 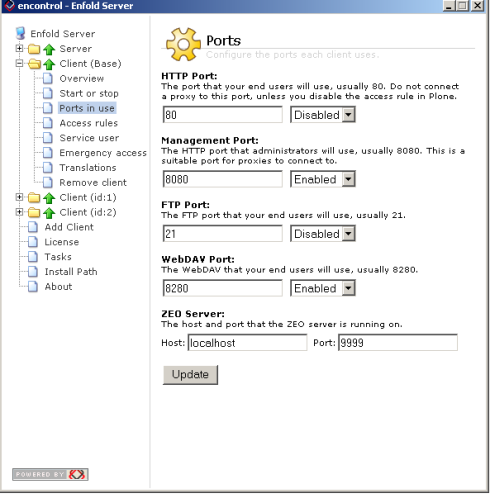 (See Configuring your first IIS host ). You have verified that you can go to www.originalfunsite and receive a default IIS page. (See Troubleshooting IIS). You already have a Zope/Plone site which is accessible from http://localhost:8080 or something similar. (See creating a Plone site). First, make sure that Enfold Server or Plone is not receiving HTTP requests on Port 80. IIS needs to use port 80 and forward it to EP. If you are using Enfold Server (see screenshot below), you should set options similar to this. If you are using general Plone, you will need to edit the zope.conf file. After you press Save, you should see the originalfunsite proxy definition appear underneath the Proxy category. When you click on that, the right panel will show the Basic tab. This actually is the tab you will be using most often. (The other listings on the right under Proxy are previously configured proxy definitions. If this is your first proxy definition, you will see only originalfunsite). 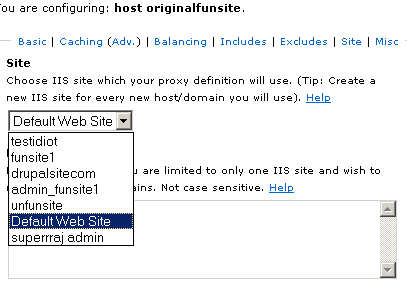 Next, go to the Site tab and associate your proxy definition with the IIS Site (In this case, the IIS site for www.originalfunsite.com is called Default Web Server). If you have Enfold Server (or any Plone site) installed on the same machine, with the default settings, Enfold Proxy will be in effect. (Important Note: This is not a typical or ideal scenario. 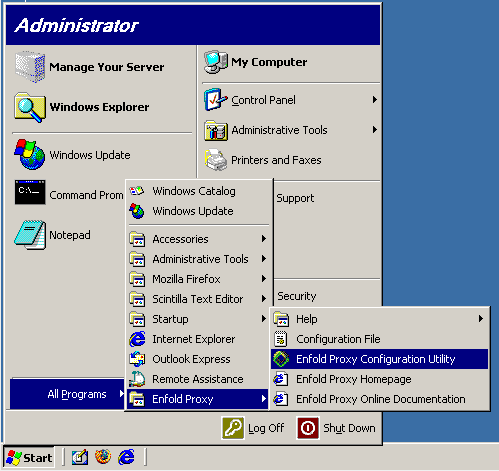 In most cases Enfold Proxy should reside on a separate machine from Enfold Server or Plone). To verify that everything works, go to www.originalfunsite.com . You should see the Plone site being proxied to the IIS site. For more information, see Linking Plone with your website , troubleshooting checklist , common tasks in Enfold Proxy or the FAQ. the Plone instance or instances you wish to proxy, by address and port. You may click on the more links for detailed explanations of the fields. Click save to have these changes take effect. Congratulations. Enfold Proxy should now be up and running. The next step is to enable caching in EP. EP will immediately starts proxying static resources (like images, js and css), so a performance improvement should be visible. Enfold recommends that you install and enable a Plone caching product to maximum the speed improvement from Enfold Proxy. (See this list of available caching products for Plone.) Doing this will allow you to cache plone-generated web content in addition to static content.